I've worked in a variety of hands-on professions and love to write about topics that can save readers from needless expenses. Gel fuel is an alcohol-based compound that doesn't give off toxic smoke or noxious odor when burned. 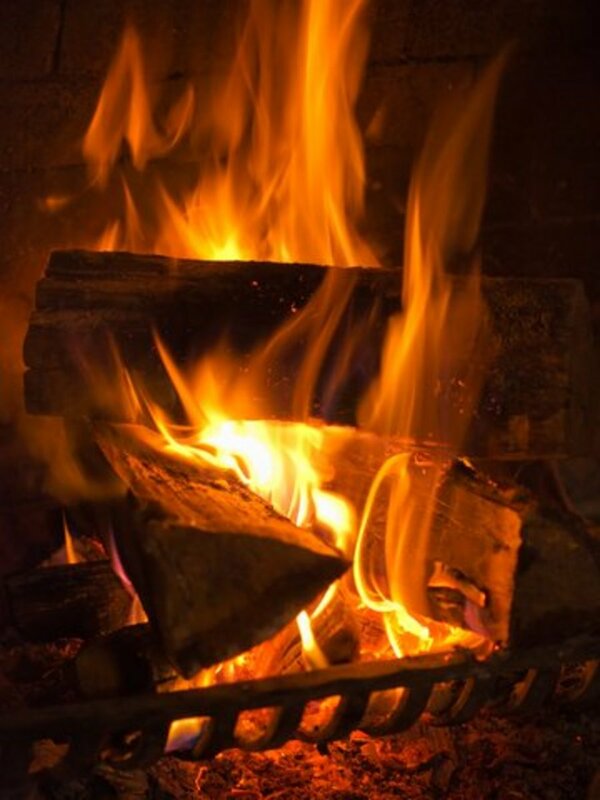 Its primary use is in fireplaces, but it also has applications in catering and other indoor events where odorless fires could prove helpful. A relatively new substance, gel fuel and its possibilities are really intriguing to me, especially since it's so easy to learn how to make it. 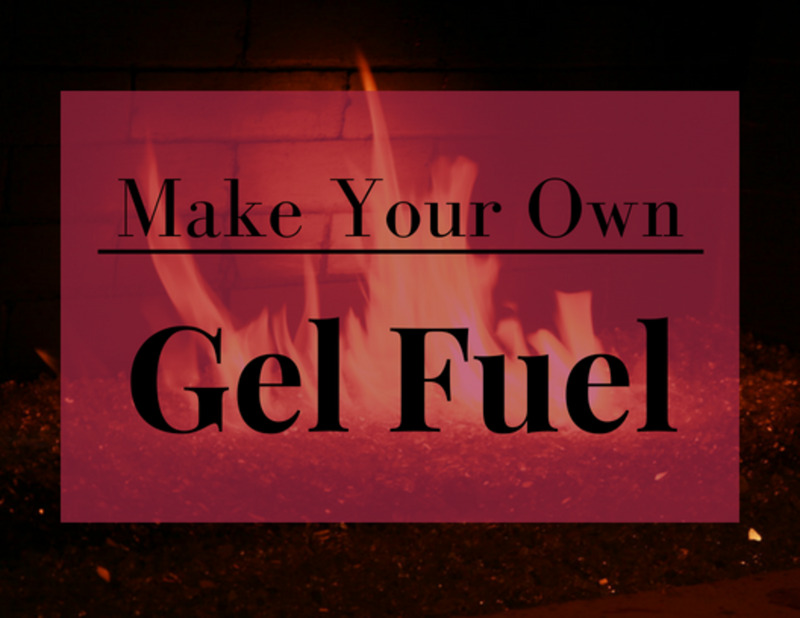 In this guide, I'll show you how to make gel fuel safely at home. Is Making Gel Fuel Complicated? One of the best things about gel fuel is its simplicity. Just like wax candles, gel fuel can be created in large quantities for those who don't want to spend the coin. Its combustible property is the isopropyl alcohol content (also known as rubbing alcohol), which generally sells for only about $1 per quart—so it's very economical. You'll also need a thickening agent to turn the rubbing alcohol into a gel. There's some debate on what the best thing to use for this is. Some have said that soy wax will do the trick. But more people seem to like a substance called calcium acetate, which can actually also be made at home pretty easily from common household items. Before you're ready to make gel fuel, you'll need to make calcium acetate out of chalk and white vinegar. Make sure to buy the kind of chalk that is made out of calcium carbonate, however, otherwise it won't work. 1. Mix together four parts of white vinegar to every one part of chalk. In this case, I used 1/2 cup of white vinegar and 1/8 cup of chalk. In this process, the calcium carbonate from the chalk and the acetic acid from the white vinegar combine to create calcium acetate and carbon dioxide (as well as some of the distilled water from the vinegar). The carbon dioxide and water will evaporate away in the oven, leaving just the calcium acetate for you to make your gel fuel with. Once you've made (or purchased) your calcium acetate, you're ready to make your own gel fuel. Just make sure that the rubbing alcohol you bought is 99% isopropyl, otherwise the fuel won't burn very well. Mix together nine parts of isopropyl alcohol to every one part of calcium acetate. Once you have it measured out, adding the alcohol will cause the solution to begin to gel on its own rather quickly. Stir the solution to mix all of the alcohol with the calcium acetate and water mixture. Why Isn't My Fuel Burning Well? The total compound must be 90% alcohol or else it won't burn very well. Depending on whether you bought your calcium acetate or made it at home, you may have to add water. If you have dry calcium acetate, you'll need to combine two parts water to every three parts calcium acetate, and stir them until the substance is dissolved. But either way, as long as the final substance is 90% rubbing alcohol, it should burn great. And just like that, you have your own gel fuel! Want Your Fire to Pop? Take 1 tsp of oil and 2 tsp of water for every soup can (10.75 oz) of gel fuel, and mix them all together. This technique will make the fire crackle and pop when it comes across those small pockets of oil and water. Can You Use Just Isopropyl Alcohol Instead? I was recently informed by my friend, Greg, that burning 91% isopropyl alcohol lasts almost as long as the gel fuel solution itself. It's true that it's a bit more dangerous because of the viscosity of liquid isopropyl alcohol. But just for the pure ease, it might be worth it. So, if you don't want to go through the hassle of making gel fuel, consider burning 91% isopropyl alcohol. Just be careful! A completely non-traditional fireplace for gel fuel application. A more traditional fireplace for gel fuel application. I think we're all suckers for a good fire every now and again, especially on a cold night where indoor coziness is required. Luckily, gel fuel even crackles like a normal wood-burning fire, and one little container of gel fuel burns for about three hours. The cool part is—as you can see from the first picture—installing a fireplace for gel fuel doesn't even require demolition or installation in the house. If you get creative, you can build a modern fireplace in a lot of different ways. 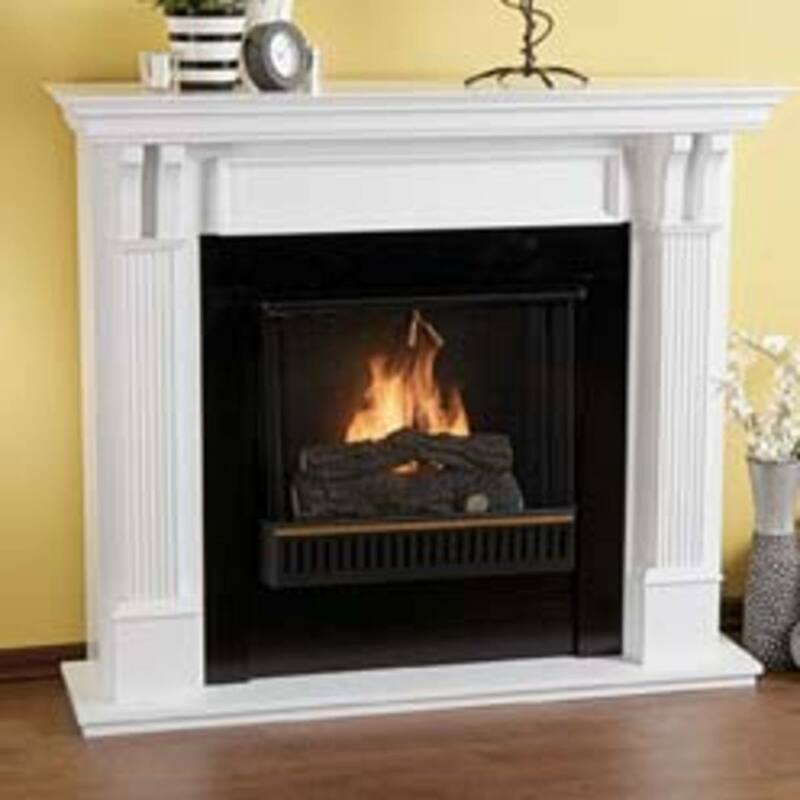 The greatest thing about ventless fireplaces is that they can be freestanding. There are companies online that sell freestanding ventless fireplaces that sit against the wall and give off the appearance that they're actually a part of the wall itself. These require no installation or demolition whatsoever, and still give off the beauty of a regular fireplace. I tried making this, used proper chalk, mixed in the vinegar (and wow it foamed up), boiled down the water (I did not stain the solids prior), and then mixed 95% ethyl alcohol (beverage quality), but it did not gel. It does burn (because the alcohol)… what could have gone wrong? I have a vent less gel fuel fireplace in my living room and it is awesome. As far as not using one, unless your an idiot their is nothing wrong with a vent less fireplace. I echo the comments made a couple years ago by Steve Young. Do not take risky chances. I never knew you could make your own gel. I wonder though about the safety of making your own and feeling confident that its made correctly. Hi Benji, I was wondering if it would be safe/work well if I made this gel fuel and poured it into a large ceramic bowl? The gel fuel would have a surface area of about 12x12 inches when poured into the bowl, which would be the desired burning surface. 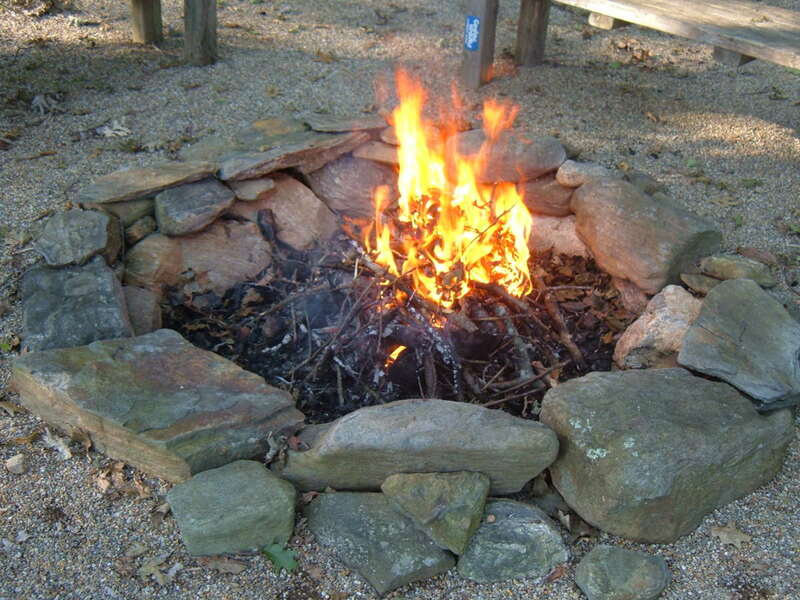 I'm trying to create a large-ish fire to use as a fire pit in my backyard. Could this idea work? Thanks!! The other day, I was cleaning the tubing from the dryer to the outside exhaust vent. (It's been forever since I did that.) I ended up with *buckets* of the stuff. Scary, even...and if you can't remember when you last did this task, do it now or risk a catastrophic fire. Thus endeth the public service announcement. 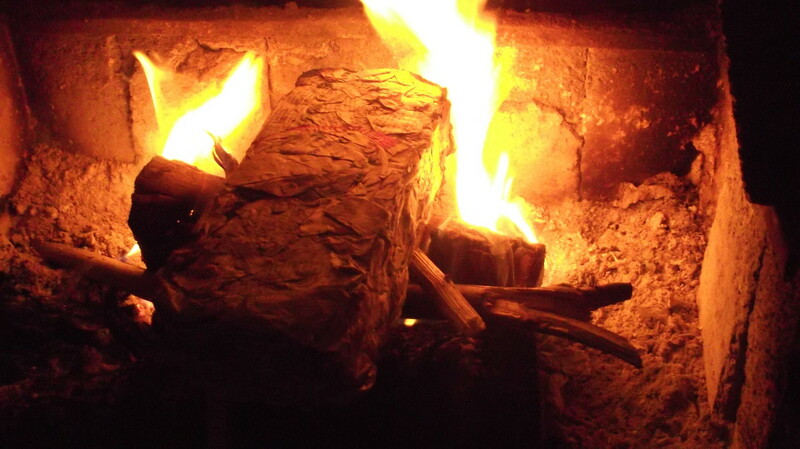 In the Boy Scouts six or so decades ago, one task was to make fire with flint and steel. Not those magnesium firesticks seen on Survivor, but a hunk of flint rock and a chunk of steel. My go-to tinder was a bit of dryer lint stored in a 35mm film can. The stuff would catch a spark easily; even easier with a drop or two of gasoline...but that was cheating. So the light comes on, literally.... What if I add alcohol to a wad of lint? It burns with a smokeless, odorless flame and even adds a bit of color (and sound) to the almost invisible alcohol flame. There is very little ash left afterwards. I can't speak for you, but most of my dryer lint is cotton. Now this probably wouldn't work with 91% isopropanol, as that 9% water component is going to leave an unattractive, messy slurry behind. If you use denatured alcohol sometimes sold as marine stove fuel, there is very little, easily removable ash. Now the experiment was limited to an outdoors firepot about 2" in diameter. Don't do something stupid - like adding fuel to an already burning device - which is what got alcohol gel fuels banned in the first place. It's a pity that the stupidity of a few can affect so many. I bought some Sterno the other day.... In the spirit of scientific research and experimentation, I added a bit of calcium acetate powder to the Sterno. Guess what? I de-gelled the Sterno! It turned it from a semi-solid into a total liquid! Calcium acetate DOES NOT WORK. So, do not waste your time or money trying this. Not sure where the OP got the idea that calcium acetate would work. I was mistaken when I said "solution"...it is properly called a suspension, because overnight, all of the calcium acetate precipitated out. (I didn't actually weigh the calcium acetate after the first 10 gram batch, just kept dumping more in, approximating 10 g at a time 'til it was patently obvious nothing was going to happen.) The supernatant liquid was water-clear and devoid of any gelling. Indeed, I did a flame test of the liquid which was negative for the presence of calcium. Since no calcium actually went into solution, all looks like it precipitated out. I'm willing to say that calcium acetate is immiscible in ethyl or methyl alcohol. So, is it possible that the chemical was something other than calcium acetate? Theoretically, but highly unlikely, given that it was labeled as USP grade. Let me begin by saying I was a chemistry major in college way back when and worked for seven years in a major hospital's lab, so I know my way around the periodic chart. Found 110 grams of calcium acetate on-line (USP grade no less) and used denatured ethyl alcohol (marine stove fuel). 50+ grams in less than 500 ml of alcohol does absolutely nothing. This is a super-saturated solution, in that the reagent precipitates out - but absolutely no gelling whatsoever. Perhaps there is some other factor in the DIY calcium acetate that uses "chalk" and vinegar. I can't see any difference reaction-wise between ethanol and isopropanol. Now if one wants to make colored flames, add barium nitrate to the solution for green or strontium nitrate for red. I'm going to experiment with this combination cause it should be wicked efficient. mason lime is ten bucks for 50lbs and glacial acetic acid is 20X stronger than vinegar and I can get it for $35/gallon. has anyone else used pure acetic acid to make their gel? There are those oil burning incense things on the market so they sell bottles of fragrance. Is it safe to add some of that frangrance oil to the homemade gel fuel mixture? Hey, I have been doing this for some time with no problem. I purchased garden lime to use. However, now I have a question. When I mix in the alcohol 91% it gels fine, but after it sits a while it separate's and turns thin. What am I doing wrong? I am using the 1/8c garden lime to 1/2c vinegar, reducing it by half, and adding between 2 and 2 1/4c of alcohol. Can you give me a tip? Yes, to some of the other comments, if you are not doing this safely and handling it like any other flammable liquid. You can get yourself or someone else hurt. Be safe, use your common sense.. This post is reckless and irresponsible. It puts the people attempting to make their own gel fuel in danger. It puts and entire gel fuel industry and the companies that manufacture gel fuel safely at risk for liability. The formula and process in this post has not been tested. Gel fuel can not be put in to just any kind of container. The fuel in whatever container it is going in has not been tested for storage. The fuel formula and combination of chemicals have not ben tested for how they breakdown over time or for what injury can be caused if swallowed. There is no material safety data sheet in case of an emergency. With the pour gel recall of 2011 suggesting that anyone should make a gel fuel on their own for a refillable fire place is flat out liable. The issue on the recall was that some of the pour gel products burned blue and were difficult to see causing the consumer to attempt to refill their fire places while they where still burning because they couldn't see the flame. The other problem was that the bottle the pour gel was in did not have an arrestor at the tip that would block the fire or lit fuel from entering the bottle of fuel and exploding the oxygen and fumes inside. The recall was a result of 65 plus injuries and 2 deaths including a 13 year old boy. There were dozens of law suits putting 7 companies out of business. I appreciate that folks are looking for an inexpensive alternative for their fireplace however using anything other then the two main brands that have been tested and proven over the last 28 years is dangerous and irresponsible. Hi I have a Gel fireplace, and ran out of the gel so I used the old cans and burned 91% Isoprophyl alcohol. I have recently found on some of the blind/walls, and other plastic items in my house to have a black soot type of marking on them. It doe wife right off but was wonder, Could this be from not using denatured alcohol or the gel by chance? I think the main issue is when this site was originated (based on the comments of up to 4 years ago), the price of 99% isopropyl alcohol was at least 4 times less than what it is today. I have done substantial research on trying to find it a the cheapest price and the best I could come up with is about $32 -$33 per gallon including shipping through Stanley Supply. I read a different article on this subject which also included this video and the author stated "Finding that is difficult in a large enough quantity for it to be cost effective. After several hours of fruitless searching, I finally discovered it in gallon containers with 99% concentration at a store most major cities have: Grainger, Medique brand, item number 3WHL2 . It runs about $11/gallon when purchased onsite." I looked up that brand using the above item number on Grainger and it now sells for $63 per gallon and you have to buy it in quantities of 4! I did the math (as you did) and buying the gel fuel on amazon is about .23 cents per ounce and just buying the isopropyl alcohol on Stanley is about .26 per ounce. This also does not include the cost of all the other products plus the cost of purchasing containers to properly store it in large quantities. In the end, I think that years ago, this website and others that teach you how to make it was invaluable to saving tons of money on gel fuel, but currently (2/1/15), it is not feasible anymore. Now that I know this I almost wish I didn't buy the new gel fuel fireplace/media console I ordered because there is currently no way to get around the cost of the gel fuel cans such as that sold on amazon. I will still enjoy the gel fuel fireplace but it will be on special occasions. 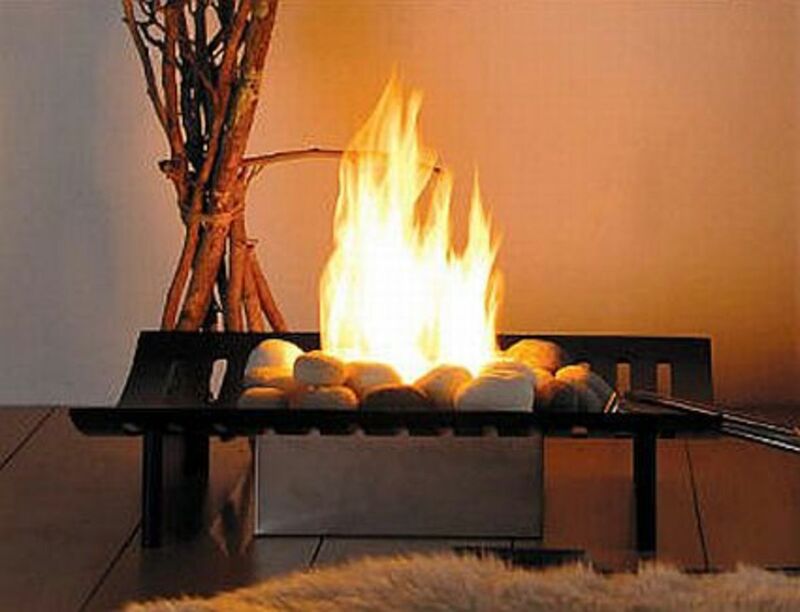 The one plus is that I can buy a duraflame electric log to put in the fireplace if I want to get the fireplace effect for ambiance to offset the cost of the fuel but it just wont be the same. My wife can also place large candles inside for a different look. I will certainly save the recipe for creating my own gel fuel in the future but that will all be dependent on the cost of the 99% isopropyl alcohol, which seems to be the main factor for this to be cost effective. I am confused on how this actually saves any money. I can purchase sixteen 13 oz cans of gel fuel for $60.00. That is 208 ounces or 29 cents and ounce. 208 ounces is 1.625 gallons so the per gallon cost is $36.90 per gallon. The cheapest I have been able to find 99% alcohol for is 16 ounces for $7.oo. So to purchase a gallon of alcohol I need eight 16 ounce bottles at a cost of $56.00. Not even considering the vinegar and calcium acetate I am up to $56.00 per gallon to make the stuff compared to $36.9 per gallon to purchase. Can someone tell me what I an missing here? I know this is late but I have to comment. Apros is right. Some of the information you're giving out is just wrong. First, carbon dioxide is odorless. If you have any odor it's from the acetic acid but that's a minor issue. When you add acetic acid to calcium carbonate, the acid does make calcium acetate, but it is not as a solid. The calcium is as Ca+2 ions and the acetate is as C2H3O2 -1 ions and they are in solution because calcium acetate is soluble in water. Just like if you added table salt to water, the solution is clear if you don't add too much because it dissolves but unlike sugar solutions you have sodium and chloride ions. So the calcium acetate you want is in the liquid, not the solid at the bottom. The reason you have the solid at the bottom is that's leftover CaCO3 because you didn't add enough acid to react with it. From the proportions you gave you have about 2 parts acid molecules to 7 parts CaCO3 molecules and because of the proportions of the chemical reaction you need two acid molecules for every CaCO3 molecule to react completely. So you have leftover solid and what you want is actually in the liquid which is why siphoning the solution doesn't work. is the reaction if anyone is interested. C2H3O2-1 is the acetate ion. What you need is saturated calcium acetate solution, a clear liquid. The solubility is about 35g/100ml or roughly 3 oz to a cup by mass. The quickest way to do this is take a volume of vinegar and start adding calcium carbonate a little at a time until it's dissolved. Keep adding until it no longer bubbles when you add more and the powder doesn't dissolve. This means you've used up all the acid (H+) part and you have a solution of calcium acetate. It's not a saturated solution, which is what you need. So, let this evaporate until you see crystals start to form. I would just simmer it on the stove until reduced to about 2 ounces. The point is you want to see crystals coming out of the clear liquid then stop. This means the solution above the crystals is saturated. Let it settle and measure just the clear liquid and add that to a bit less than nine parts of 99% alcohol. I know you probably have good intentions but when you're dealing with chemical reactions (yes, this is tame compared to most) and fire, misinformation can get someone hurt or worse. I had a pharmacy order 99% isopropyl alcohol for me to avoid the $40 HazMat shipping fee and got 12 16oz bottles for 30 something dollars. I used ground Tums (1000 mg calcium carbonate) and vinegar and was able to make a beautiful gel I put into old sterno cans (3/4 full). They burned for about 1 3/4 hours. Got so excited I made 11 back ups because its getting cold and I wanted to be prepared. Much to my dismay this morning all the backups turned to liquid. They still burn but I am not comfortable with the liquid. Any idea what may have gone wrong? I read a post from a few years ago where the cans/jars are left open and remained gel while the closed containers became liquid. I could not find anything else related to this problem but I'm thinking that if the containers are left open the alcohol would evaporate out. I would like to store my Solid Gel, (as I buy mine in larger quantities as its hard to find to fit my small firepots) in my outdoor Gazebo. In the winter our temperatures are below freezing point. Now, if this gel goes through a freezing mode, will it still burn adequately in my firepots? I found the perfect gel fuel. I go to the Dollar Store and buy the 14oz bottle of hand sanitizer for 99 cents. It burns great and no smell or soot. No mixing, now waiting for evaporation time and no mixing! If you want crackling sound and smell you can buy the scented oils there to and add a few drops. Works great, good burn time and very cheap! You can use Tums for your calcium not just chalk. Great information!! !can i cook or boil water with gel fuel? Candimeg, this video was put up 3 years ago so there is probably a good chance you will not get an answer to your question. I think I may be able to give you an idea on the scent issue. He says in the video that you can add a small amount of cooking oil in order to get the gel to make a popping sound. That being the case I see no reason why you could not add a few drops of essential oil. I have not made this yet so I am only guessing. Logically I do not think this should be a problem. I have been playing with trying to mix different scents in order to get a "campfire" smell for several years without success. I just found a wonderful pine essential oil and I am going to call it good with that. If this is of interest to you it is by Wyndmere and is called pine needle. I found it at a health food store. You are all having trouble with the gelling because you are not using the correct ratios in the video. The powder you see at the bottom is unreacted chalk. The clear liquid is the calcium acetate. That's why you can't siphon it away and make it work. You are using way way way too much chalk. If you don't believe me drain the liquid away and pour some fresh vinegar over it. It will bubble because it's chalk. I thought your hub was vey interesting!! I would have never thought of making you own gas. This looks great. I voted up and awesome!! I hope this is still a viable site. The questions and answers both are informative. Forgive me if this is a repeat, but I don't have time to read all of them. I am concerned by the number of responses (not here) on the Real Flame Gel Fuel that is sold on Amazon about odor. Does your fuel have an odor and if not why is that different from the commercial brand? I need this fuel for a weekly event. I don't mind making the fuel if necessary but I would rather buy it. Any ideas? suggestions? I'm interested in burning this fuel in glass but in your video you said you tried glass and it didn't work too well. This is great! I love my gel fireplace, but I can only afford to buy a case of gel a year, so once it's gone, it's gone. Can't wait to try this out. I do have one question though. The one thing I can't stand is the odor the gel puts off (especially as it gets down to the bottom of the can). Do you know if there is some way to add a "scent" to the mixture to 1) give it the "smell" of real burning "wood" and 2) to eliminate the odor when it burns to the bottom? Instead of using vinegar can we use acitic acid directly. Is calcium carbonate and calcium acetate very similar? Could you use the acetate and it would do the same job? Emily, that's awesome. I'll have to try that. Thanks for sharing your input. If you don't mind, I might go back in and add your info to the main article to give people options to try. Thanks for stopping by. If your calcium acetate and water had separated naturally, why boil off, microwave, leave in the sun? Why not use a turkey baster to simply take the water off the top? Hand sanitizer gel, like GermX and Purell, burn as well and as long as the gel fuel you can buy in the stores. It has a higher alcohol content, I believe, and like Sterno cans burns with a flame that is blue and not easily seen. Adding sea salt (a generous portion) on top of the sanitizer gel turns the flame yellow/orange and creates a realistic popping as the salt crystals are burned. Works GREAT! I use this all the time for altar settings using firepots. Very impressive. Many thanks to one of my youth group members who led me to this solution by questioning me when he first saw me use firepots during our youth group worship time, "How are you burning GermX?" I laughed out loud but quickly stopped and thought, "Wait! That's alcohol in a gel form! That's gonna work!" And it does!! I'm told by other youth ministers that using moisturizing hand sanitizer eliminates the need for sea salt. I do love all the info and questions in this thread! We have experimented with adding things to change the color of the flame. Haven't had too many dramatic results. Good luck with all this! I am having a hard time finding calcium carbonate locally, but was wondering if anyone has messed with (or would know more about the chemistry) using sodium carbonate in place of calcium carbonate? Has anyone altered the recipe at all to make it last longer? Most of the commercial store-bought gel fuels last roughly 2 1/2 to 3 hours. Apparently this receipt lasts just about an hour, maybe a little more. Has anyone been able to add anything that would make it last longer, maybe 2 hours? Bryan, add a little bit of table salt and that will turn your denatured flame yellow. I burn it in my fireplace. Nevermind about the denatured alcohol for the gel fireplace, it Burns low and blue like a "Sterno" flame. I'VE BEEN MESSING WITH MANY FORMULAS OF FIRE GEL FOR MONTHS NOW AND HAVE FOUND A SIMPLE RECIPE THAT WORKS EVERY TIME. IT SEEMS THERE ARE A COUPLE OF PROBLEMS THAT MAKE A BIG DIFFERENCE. ORDINARY 5% VINEGAR IS NOT STRONG ENOUGH AND TO FIND 10% HEINZ VINEGAR IN THE UK HAS PROVEN DIFFICULT. IF YOU HAVE A LOCAL SUPPLIER OF POLISH FOODS, THAT'S WHERE YOU WILL GET YOUR 10% CLEAR VINEGAR AND CHEAPLY OFF THE SHELF. CALCIUM CARBONATE CAN VARY MASSIVELY IN PRICE AND CAN BE IN A GRANULATED FORM WHICH IS LESS EFFECTIVE. ON EBAY THERE IS A UK COMPANY THAT SELLS CALCIUM CARBONATE POWDER FOR ABOUT £6 FOR 1KG. THE BEST ALCOHOL IS 99% ISOPROPYL WHICH CAN BE BOUGHT BY A UK SUPPLIER ON EBAY. THE MORE YOU ORDER, THE CHEAPER IT IS 25 LTR COST AROUND £45 INC DELIVERY CHARGES. BURNING THE ALCOHOL NEAT BURNS TOO FAST AND GIVES OUT TOO MUCH HEAT IN ONE GO. THIS WILL BE EXPENSIVE AND FILL THE ROOM WITH AN UNPLEASANT HAZE. ADD 15ML - APPROX 1 HEAPED T/SPOON OF CALCIUM CARB POWDER TO 60ML OF 10% VINEGAR. THIS WILL REACT AGGRESSIVELY AND FIZZ. GIVE IT A GOOD STIR AND LET IT SETTLE. YOU WANT THEN REDUCE THIS SLURRY BY 2/3 TO 1/2 VOLUME WHICH CAN BE EASILY DONE USING A MICROWAVE ON A LOW SETTING, BUT DO THIS IN STAGES OR IT WILL BOIL OVER. ONCE THIS HAS REDUCED AND COOLED, STIR AND POUR INTO A CONTAINER WITH PLENTY OF BASE AREA, LIKE A PLASTIC TAKE AWAY CONTAINER . THEN ADD 120ML ONLY OF THE ALCOHOL, SLOWLY AND EVENLY OVER THE SURFACE AND AGGITATE WITH A FINGER TO DISTRIBUTE THE LIQUID AND CREATE THE GEL. REFRIDGERATE AND STORE. THIS SMALL QUANTITY ALONE WILL BURN EVENLY FOR ABOUT 1/2 AN HOUR AND HEATS UP OUR ROOM WHICH IS 14FT BY 12FT. TO MAKE LARGER QUANTITIES, JUST INCREASE THE INGREDIENTS PROPORTIONATELY. HOPE THIS IS OF USE, GARY. I looked all over you page for a video, but don't see it???? Thanks for helping me save money... you're a life saver! Excellent article. Hope fully it helps everybody who is into it. I have seen an Indian manufacturer whose quality is better than other brand in U.S. www.dishwarmer.com . The site as advantages or uses of gel fuel, which can used for research purpose. "The explosion did not hurt him, Mr. Mitzman said. But it covered Mr. Stone, 24, in the flaming jelly. Mr. Stone, who until recently had been working as a hotel doorman and an intern at The New York Post, dropped and rolled, but that only set the terrace floor on fire, Mr. Mitzman said. Another friend ran out with a blanket to smother the flames, but the blanket caught on fire. The two friends finally extinguished the flames on Mr. Stone’s face with a sweatshirt, and led him into a shower to dowse the rest." NO problem, thanks for the great video. Fertiman, thanks so much for that research. That's really helpful. Yeah, if you can find bulk isopropyl alcohol at 99%, you'll definitely save a ton of money. Best of luck man. Alright I did some quick math and I can produce my own gel for around $2.29 can (365ml). This is approximately 1/2 of the cans I just bought from Home Depot for $3.99 per can. The key here is to buy the Isopropyl Alcohol from a wholesale electronics store. The bulk Isopropyl Alcohol is approximately $6.60/ litre (1.06 US quart). The Amazon price on line showed up as $8.30 / pint or $16.60 / litre. Also forgot to mention that I saw a few posts about people using wall board (drywall). Wall board is made using Gypsum or CaS04. I believe this would change the reaction and you would get a rotten egg smell either during the process of making the gel or when burning. I just purchased a Gel stove, so I will be looking to make my own gel, providing I can make it cheap enough. Has anyone tried getting a large bulk quantity of isopropyl alcohol from a bulk fuel outlet? I believe this may bring the price down considerably as long as the grade is 99%. Regarding the CaC03 (Lime) you can get a large bag from any Agriculture store or home and garden store. You want to use a fine a grade as possible and you want to look at the % purity as well. The higher the purity the more "Reactivity" you will get out of the Lime. I assume the same will apply here as the fineness and purity are the factors of reactivity. How can I made ethanol gel other than calcium acetate? Sure! Thanks for saying so. I just wanted to thank you for the video. Nice job. Not the voodoo I thought it was to make my own gel fuel. Oh there's not one? Most people who use 91% alcohol just prefer to burn it straight without any type of mixture. It'll be pretty evenly for a long time. There's not a whole lot of reason to mix it into a gel because the 9% water content keeps it burning evenly. In order to turn it into a gel, you have to get rid of excess water content from the calcium acetate/water solution. You'll need to evaporate about 3/4ths of the water away instead of 1/2 the water. And the Vinegar need to be of what in its contents? I think if you read the comments, someone put a specific recipe for 91%. Can You give me a receipe and directions for 91%. I've noticed that occasionally, when the flame spurts a bit, it can puff out a small cloud of black smoke. But it's pretty rare. Most people that burn alcohol directly burn the 91%. It burns a little colder. About the smoke though, I don't know what you can really do about it without changing the formula. Now if I mix per video with calcium it leaves very lil but still there doesn't put off smoke alarms as just burning alcohol does just wonder why an if anything I could do? That's odd. That shouldn't happen. The only thing that sometimes gets left behind is a white soot from the chalk in the gel mixture. Is it a lot of black smoke or just little spurts here and there? Burning 99% alcohol leave dark black soot any thing to help? I mix as per video stops my smoke detector from going off but still burn a lil soot mixed but straight 99% leaves alot of soot any help?? Is there a reason I mix per video an it burns of dark black soot?? If you're just going to do a straight 91% alcohol burn, then there's not much that I'm aware of that you can do to extend the burn time. That's partially what the gel is for. It slows down the burn. I tried the 91% alcohol in a 8" cake pan with lava rock (outside). 16oz only burned for approx 40 minutes. The flames were pretty high also. How can I slow the burn down so I get longer burning time? I would try the gel however I'd have to take out the rocks every time I want to do a burn. Thanks Marcy. More and more people are going towards just burning straight 91% alcohol like you mentioned doing. It's super easy, quick, and effective. I hope you can get the chalk working. It's weird that not all chalks are the same. Hi there! Wanted to check in and say that for those thinking of trying the paraffin or soy wax versions - don't bother. I gave them a run through, and it gives off a noxious "just blew out a candle" scent as the wax burns. Yechh. Right now, I am burning straight 91% isopropyl alcohol in the cans, and it makes a lovely yellow-orange, high-burning flame. Quite a bit higher than gel fuels, so that should give a person pause if they have a smaller fireplace. I would estimate the height of the flames at about 7" steady, 8-9" flickers. Don't use straight alcohol in a fireplace with a lower top, or you might well catch something on fire or warp it. I can say however if you have the right setup, that it burns beautifully. Be careful lighting, as the fumes tend to collect inside the can and can ignite with a small, contained 'whump'that can be surprising if you are not prepared for it. Once going, it's fine. Just use a fireplace starter match or a BBQ lighter. I tried the chalk method tonight using chalkboard chalk I bought at the drugstore and quickly realized that the chalk I snagged is obviously not the right sort - there was almost no bubbling, so it won't work. I'll have to order some of the real stuff, and give 'er a go again. Great video, and awesome follow up on answering people's questions. Thanks Cindy for sharing that. I mainly use mine outdoors, so I hadn't noticed that. I did notice the white soot left behind in the cans once the fire goes out, but I didn't realize that it might be infiltrating the air as well. That's good to be aware of. I just wanted to post my experience with this recipe. After burning quite a few of these cans of gel, I noticed that there was soot all around my white painted "faux fireplace" mantel. After that I noticed that there was soot on everything in the entire room. Ceiling, drapes, windows, decorative items. Just something to beware of. It might be expensive, but the product I bought at the store didn't leave soot behind. Hey guys, thanks for stopping by. Wordlady, thanks very much for the tips. Terracotta is a great idea. ScentsforCandles, definitely give it a try. Let me know what you think. BlueroofFarm, you're conclusion is right. If it doesn't foam, then your chalk isn't calcium carbonate. The reaction will be surprisingly strong. I've never tried the microwave but that's probably a fast solution. I guess I just thought it might be a bit dangerous putting foreign chemicals in the microwave to boil. But if you've done it successfully, then that's another great tip that people can try. Thanks for sharing. Ben, This looks very cool, but I just can't seem to make it work. I bought some chalk (crayola) and crushed it up, but when I poured the vinegar over it, it didn't foam at all, so I think that it is not calcium carbonate. I've been trying crushed egg shells. That foams decently. I filtered out the left over shells and then let all of the liquid evaporate. I had white scale left in the jar. I poured some 91% alcohol it, but it didn't do anything at all. I'm pretty convinced that I am just going to have to buy the chalk from Amazon. Have you ever tried boiling off the water from the acetate solution in the microwave? I've been doing that too. I don't see the difference between 300°F in the oven, which will heat the water to 212°F or just boiling in the microwave. It takes only a few minutes. Maybe someone who is successful at this could try the microwave for the evaporation process and see if it still works? This is so cool. I was just wondering about something like this the other day. I have a really old house and I don't trust the chimney. I think I could use something like this in the fireplace and not smoking myself out or burning down the house. - In California we have "Spare the Air" days on which burning of solid fuel is prohibited. Gel fuel is not solid fuel, and puts off little or no (bad) gasses, so we use it in our fireplace when we want the ambiance of a fire on a Spare the Air day. It is a really great option. We do not have gas to our fireplace, but I got a good-looking concrete log set (intended for gas fireplaces) on clearance that sits on our regular fire grate and disguises the cans. When we do burn wood, we just remove the fake log set. - For those who'd like to use the gel fuel but don't have a fireplace, and don't want to invest in a professionally made tabletop one, a basic terra cotta flowerpot is a great and very inexpensive option. For about $2 you can get a pot that is the right size to fit the standard 13 oz fuel can. (I would use a trivet or something below it to add extra protection for your table surface.) You could also get a larger one, put some sort of riser in the bottom to raise the top of the can up level with the edge of the flowerpot, then fill up the rest of the flowerpot with decorative stones. This gives you a safe yet decorative way to use gel fuel in your home. You can even mosaic or paint the outside of the flowerpot to fit your décor. This can be great on the coffee table--if you don't have children or pets--or a regular height table, even a plant stand if it is very stable. Do ensure that it is not too close to the wall, bookshelves or other surfaces...it is possible for the flames to blow sideways a little if a door is opened, etc. Hope this inspires some others! Yeah, definitely. It burns without giving off fumes. You should be good to go. Was wondering if this gel will work in a liquid biofuel/bioethanol fireplace? Marcia, thanks so much for stopping by! $8 for 6 cans is pretty cheap, especially if they burn for two hours. I've not ever found them for that cheap. If the larger cans run out, you can either try making your own gel fuel, or they have a pourable version of gel fuel to refill your old cans which is pretty cheap as well. I guess I'm too lazy to try to make the gel fuel myself yet--We received the fireplace we ordered but the Sunjel fuel had not yet arrived so we went to Lowes and bought a SIX pack of small cans of gel fuel meant for a decorative firepot--(only $8 for six)-- we placed them on top of an empty, cleaned out green chilles can to raise them up to regular height--(an empty tuna can wasn't quite high enough).. they burned for 2 hours!! !--nice flames and crackle noise.. I think we will keep refilling the little cans with the gel from the larger cans when they come.. a BIG savings and worked great.. may have accidentally hit on a great way to save a bundle-- :-) I've bookmarked your site.. may try to make a batch when the case of larger cans runs out.. thanks! Thanks guys! Very glad it worked for you Linda. That's a good price on calcium carbonate Nadine. A pound will last you a very long time. I just stopped by our local beer and wine brew supply, and they had four ounces of calcium carbonate for $1.20. He said he could order a pound bag for me for about $5--no shipping! I just wanted to say THANK U for doing this. Made my first batch today and worked like a charm. Didn't get the crackle but will try just oil next time. Dave, thanks for those tips. Those are all right on. Yeah, sorry about the wrong measurement. A couple of people pointed that out. I wanted to remake the video, but it has a bunch of comments on Youtube and I didn't want them to all get deleted by making a different video :( So I'm just living with it. Not to be too critical but a couple things. If you do 1" of water/CaCO3 mix and make a mark at 9" on the jar that is actually 1 parts: 8 parts (or 1 IN 9 parts). Judging by your consistency though that is at least the proper amount if not less. I have yet to undertake this but I will probably take off more water than shown in the video. Removing water is very easy and doesn't require any time. Just buy an eyedropper and apply negative (NOT POSITIVE) pressure to the dropper and drain out the water. You will remove a little bit of CaAc but not that much. Do not apply positive pressure with the dropper or you will disturb the resting precipitate at the bottom. The idea is to do this with as little water as possible to get the longest burning flame and leave behind the least carbon residue. There are things online saying to use 70% iso but that will really gunk up your fireplace (70% iso means 30% water and the water is what makes the carbon gunk) and burn much quicker. You can always add more water to your gel mixture if needed but once you add iso it is difficult to separate the two. Lastly, MAKE SURE YOU WASH YOUR HANDS before lighting any gel fuel when you've made this stuff. It will catch your skin on fire and burn you badly if the flame catches any gel fuel that got on you. Very cool. Thanks for that tip Dav. That's a great cheap source. If you want a cheap local supply of calcium carbonate, go to your local stained glass supplier. They have a product refered to as "whitening" used in the stained glass process which is pure calcium carbonate and it is about $4/lb. Good to meet you too. Thanks for your advice. I think I shall have to experiment, then. Hey there, very good to meet you. Unless you buy the professional stuff, I don't think it's possible to make it burn a whole lot longer. The professional stuff has a higher grade of fuel that lasts a bit longer, generally around 3 hours per can. Hey Benji. I'm a Benji too. Thanks for making this great hubpage. I'm wondering if you know of any way to make the gel fuel burn longer? I have a healing center where I'm putting in some gel torches for ambiance. It would be nice to be able to just light one can of fuel and have it burn all day, instead of just a couple hours. Any thoughts on the chemistry of that, I'd sure appreciate it. Hey Lex. Thanks for sharing. Yeah, there is a lot that can go wrong unfortunately and make the end result come out as a soup instead of a gel. I've still not tried to make it with the 91%, because I have the 99% available at my local grocery store. I think you're right about the Walmart vinegar not being very good quality if it didn't fizz very much when you added the calcium carbonate. It should really fizz quite a bit. Yeah, definitely come back and tell us when you get it all working right. Hi - great video! You are a true scientist! Unfortunately, I also got soup (twice) like the others but it still burns. I used 1 to 1 ratio vinegar/calcium carbonate (98.8% calcium carbonate), burnt off every last drop of water, poured in 91% isopropyl alcohol and no gel. I am going to buy the 99% and am thinking 1) I got ripped off on the calcium, 2) WalMart's Great Value distilled white vinegar is not 5% acidic like it states (it barely bubbled the solution - yours really fizzed! or 3) Kroger's 91% is not a true 91% alcohol. I am on a quest to find out who is responsible for this mistake and will report back. Thanks again. Yeah, the pills will most likely work. The alcohol doesn't need to be 99%, but you have to evaporate more water away from the calcium acetate if you use the 91%. i had found calcium carbonate pills. would that work? dose the alcohol have to be 99%? You mix it in once the gel is finished. You'll probably only need a tablespoon of oil per soup can of gel fuel. I don't usually add it, so I'm not sure what the perfect amount is. Shouldn't be too dangerous at that level though. At what point do you add the cooking oil, and how much of it do you add? I am interested in making mine crackle and pop, but don't want to do anything dangerous. Lata, yeah that should be just fine. It will burn as long as the total solution is more than 90% alcohol. This is awesome! I was just going over the cost value of having to buy a ventless fire place and just about decided against it because the gel fuel is SO SO SO expensive. This is so handy and the video was really helpful. I am guessing since adding oil is okay replacing the cooking oil with essential aroma oils should be just fine too.